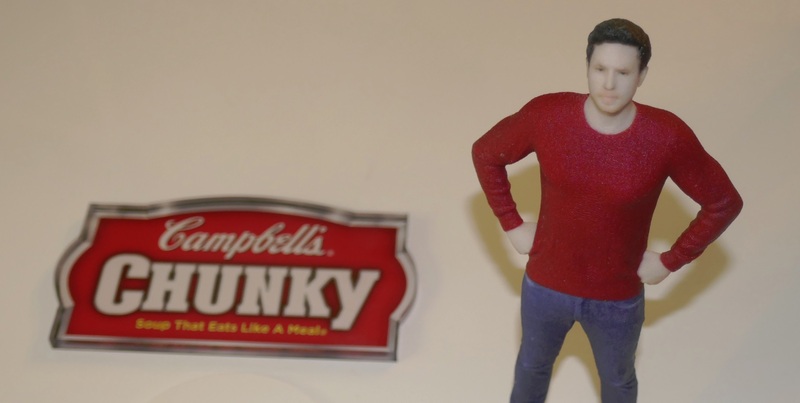 In the first half of 2018, MY3D AGENCY custom-printed over two hundred and fifty small statuettes to embody the individuals who were confirmed as Campbells’ Souper Heroes in their recent advertising campaign, and social media outreach, where they asked the public to ‘Behold their Souper You’. We can celebrate it now, proudly as the campaign comes to a close, and everyone is happy with the results. Here’s the story: Our little 3D printing company in Toronto got the nod to create a prize solution for Campbell’s Soup in September 2017. When we got the call to tender bids, we went all in and gave a great price and plenty of guarantees; MY3D AGENCY was committed to making this work really well for everyone involved, because we knew it would do plenty to advance the cause of 3D printing in Canada. Grand Prizes were John Deer garden tractor-sized snowblowers, and there were three of these dispensed across Canada. The idea of making custom 3D prints of participants came about as an intermediary prize solution. 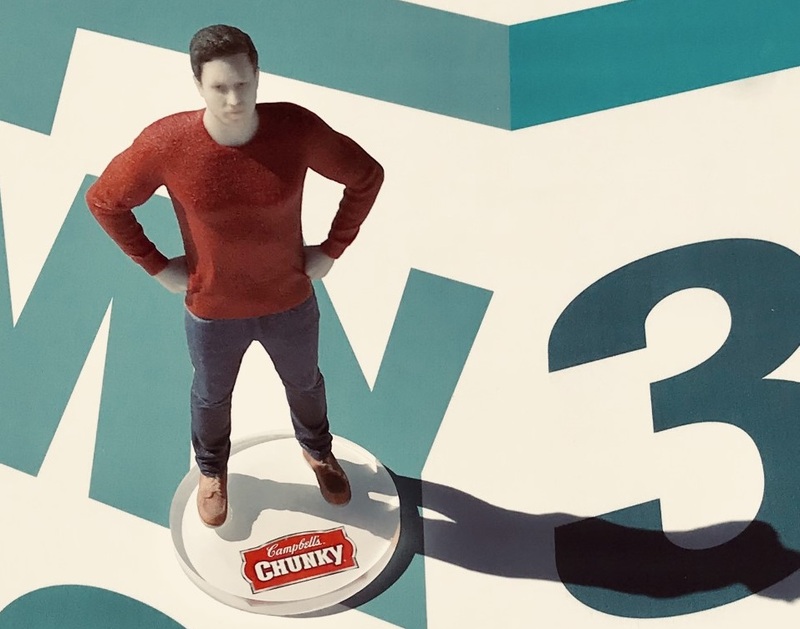 Campbell’s wanted to recognize all the people who do great things on a daily basis, and so would reward two hundred winners with a colour 3D print of themselves boxed-up like a toy action hero. These unique prizes were made entirely by MY3D AGENCY with photos uploaded by contest winners. 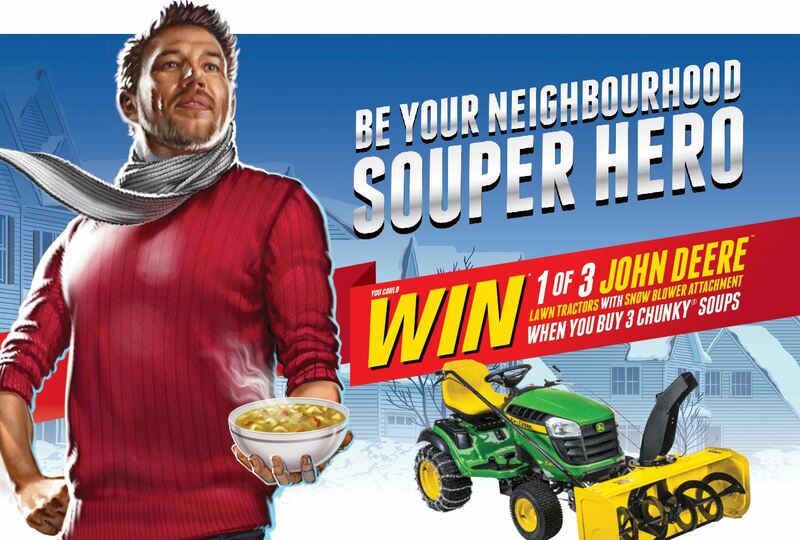 When users visited the MY3D AGENCY website page dedicated to Campbell’s Souper You campaign, they were greeted with a call to action that read, You’ve been identified as one of a select group of extraordinary people. Making the choice to put good stuff into the world is something we believe in too. Now help us honour you with your very own personal action figure. After which they were prompted to upload images of themselves. 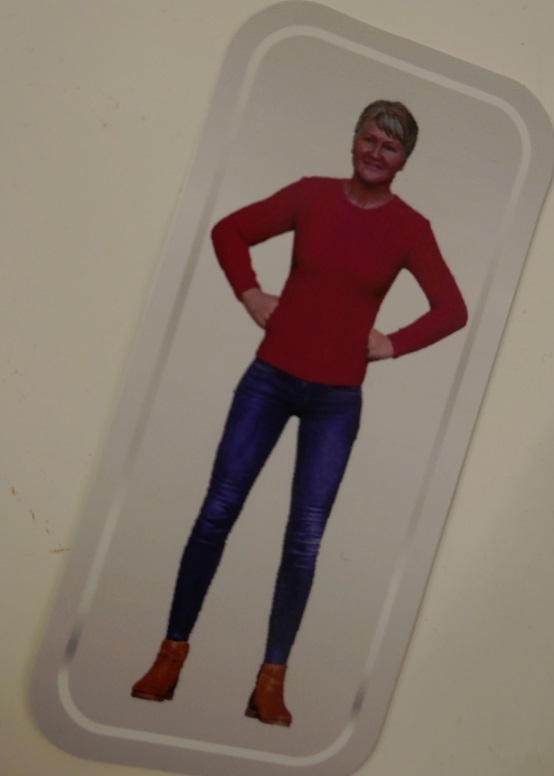 Once the person registered their information on the site, the staff here at MY3D AGENCY retrieved the information and created a folder for each individual ‘hero’. There are over two hundred and fifty such files in the database today. An artist-supervised custom head is pasted on a generic male and a generic female body which is tweaked according to the photos. Photos of each winner’s face would then be used to make realistic likenesses, and in this way every prize is personalized. Once MY3D AGENCY prepares the digital files, technicians set about printing the figurines in batches, twelve at a time. This was usually done overnight, and that meant Michael’s mornings were occupied cleaning and preparing the prints. Once the prints are cleaned and dusted, they go through a regular hand finishing which includes being shellacked with a product called Collorbond. This transparent resin hardens the model, and brightens the colours. Prints are left to dry for a few hours and then get sanded and dipped into hot wax to bring out the colour even more. The prints then get glued to a custom Campbell’s acrylic base and will sit for a few hours until they get boxed. Stickers on the top show the figurine – a picture of their digital file – these are also placed inside of the box in sticker form to add to the prize pack. To make each winner look even more like a classic superhero action figure, the 3D printed figurines would arrive in the mail in premium die cut cardboard boxes with plastic covered window allowing the action figure to be seen inside. This packaging increases their value as collectibles. The prints are tied down against a printed backstop decorated with the City of Toronto skyline, and placed in the box with the winner’s mailing address printed on the label. It’s a nice prize. 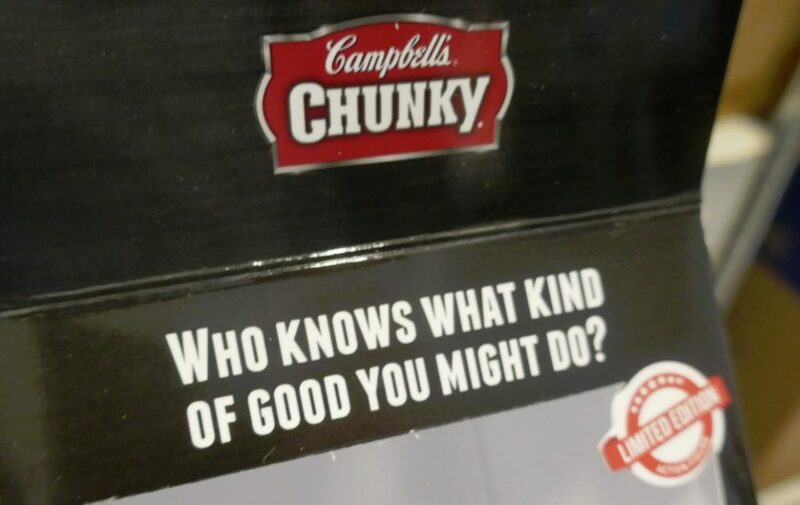 Thanks to My3D AGENCY, Campbell’s Chunky ‘Behold the Souper You’ marketing campaign was a two-fold success. The clever concept probably sold a lot of soup, but also, it helped spread the word about the availability of 3D printing in Canada.